Need some inspiration? When you’re cooking seasonally, it can be challenging to see the same ingredients at the farmer’s market, but sometimes you have to think outside of the (CSA) box. The items in this recipe could have easily been a pasta sauce or chile, but turned into a one-dish meal, easy to prepare in advance and throw in the oven on a busy week night. Heat a grill or grill pan. Trim the ends of the zucchini, then split lengthwise into halves. Using a spoon, gently scoop the seeds from the center of the zucchini, being careful not to go too deep or break the “boat.” Season with olive oil, salt and pepper. 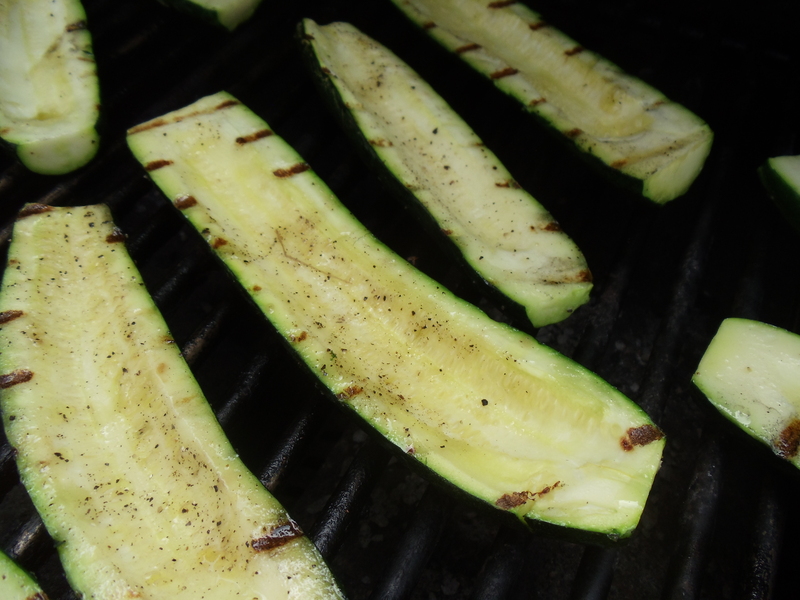 Place zucchini on the grill and cook just to mark with grill marks, then turn to mark the other side. Do not allow the zucchini to soften or overcook. 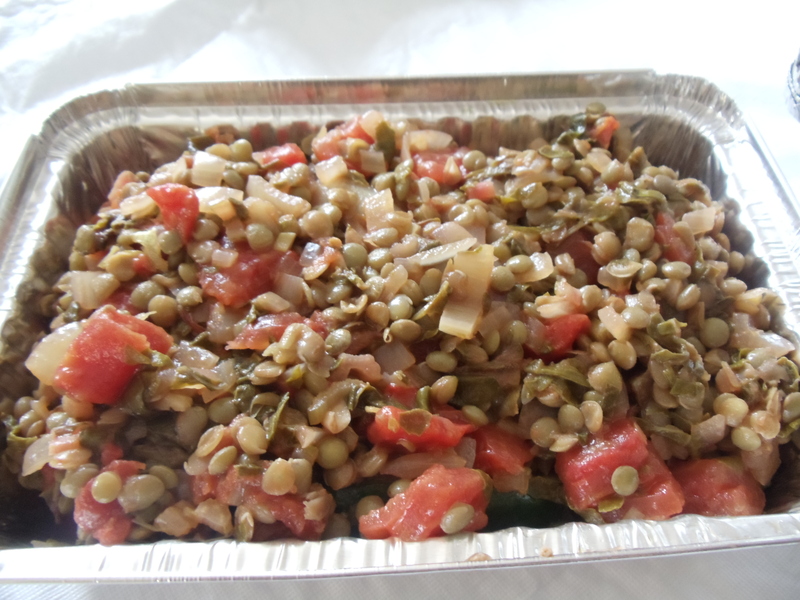 Remove from grill and place in a 9 X 9 baking dish and set aside. Drizzle olive oil in a large skillet and add onions, cooking at a low heat until onions soften. Meanwhile, slice the ribs from the chard into 1/4-inch slices and add to the onion. Stack the leaves of the chard on top of each other, roll into a cylinder, and slice thinly. 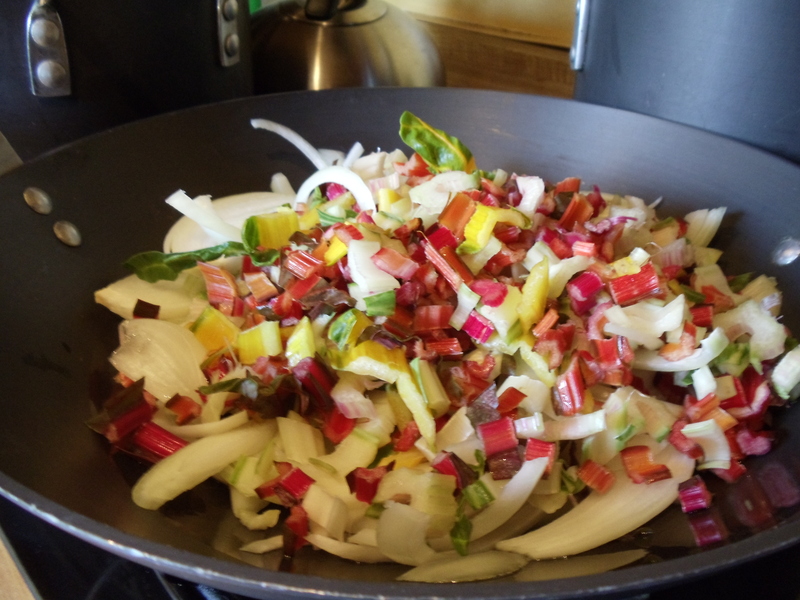 Add the chard leaves and garlic to the onion mixture, and cook all of the vegetables together until soft. Add the ground turkey, thyme and oregano, stirring to break up the turkey into small pieces. Season the mixture with salt and pepper, then continue to cook until turkey has browned, stirring occasionally. Add the canned tomatoes, and stir together, then bring the mixture to a simmer and cook for 20 minutes, until the tomatoes start to taste sweet and thicken. Taste for additional salt and pepper. 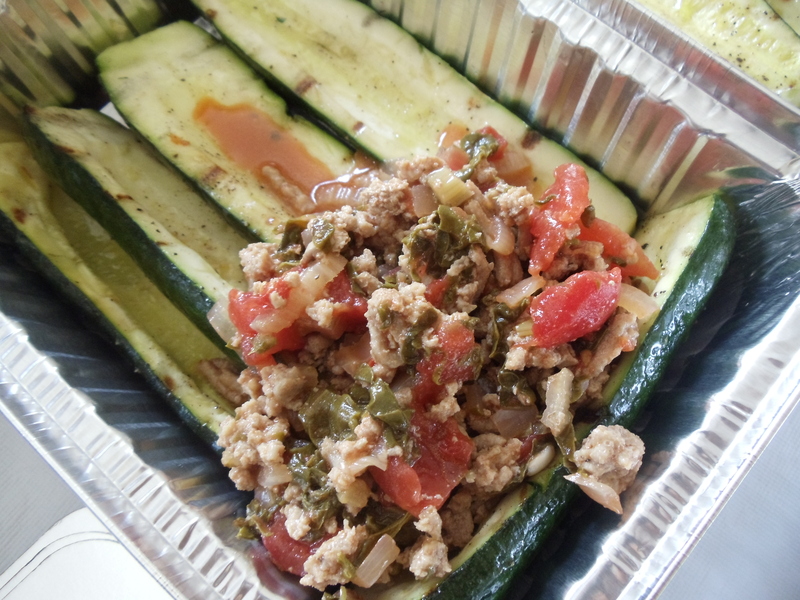 Place the turkey mixture on top of the grilled zucchini and top with Parmesan cheese. 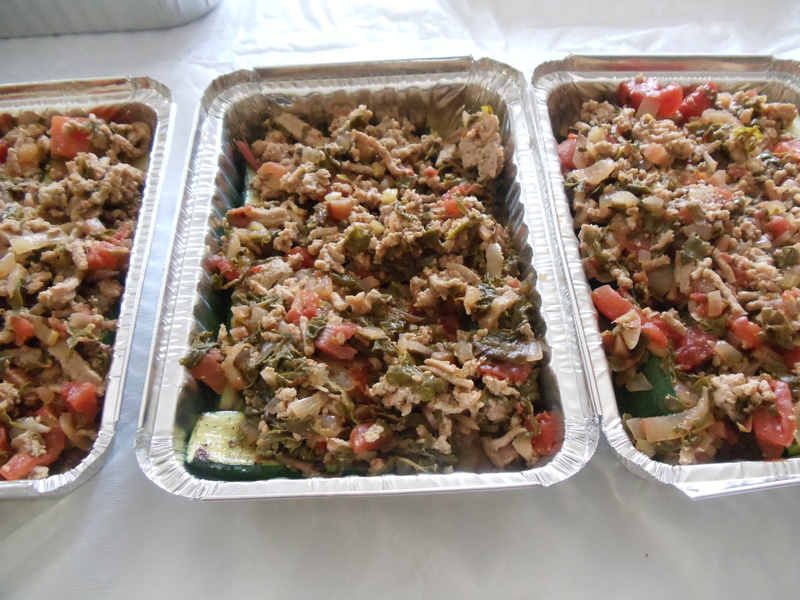 Cover and refrigerate until you are ready to bake the zucchini boats, or heat oven to 350 degrees and bake with an aluminum foil cover for 20 minutes. Remove the aluminum foil and continue to bake until the cheese melts and browns, about 10 minutes. Remove from the oven, allow the dish to rest for 5 minutes, then serve.